having the average time on each page would be really interesting, because it tells you something about the "deep" of the interest of this visitor. Thanks for the suggestion, this is a nice idea! 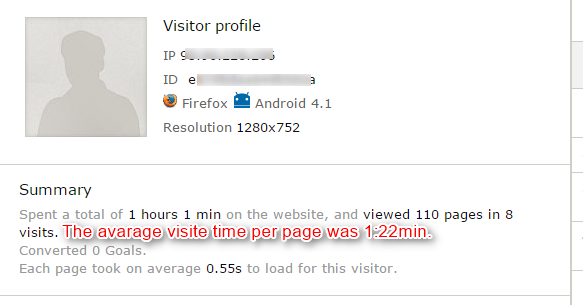 Maybe we could write "Each page took on average 0.55s to load for this visitor. Visitor spend on average 1min 22s per page."